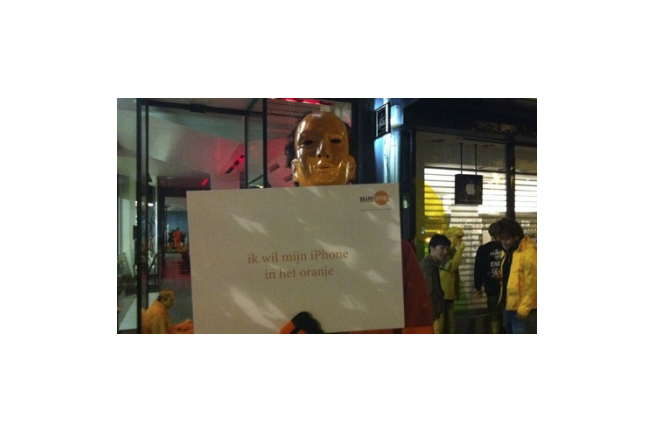 We work for our own brand – Brandhome. 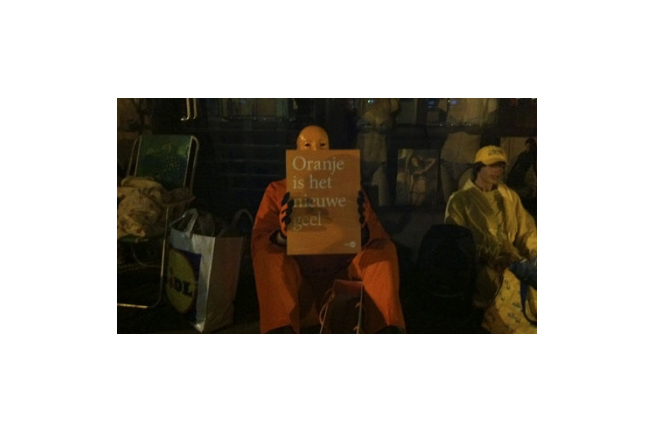 We are always on the look out for some free exposure to the market. 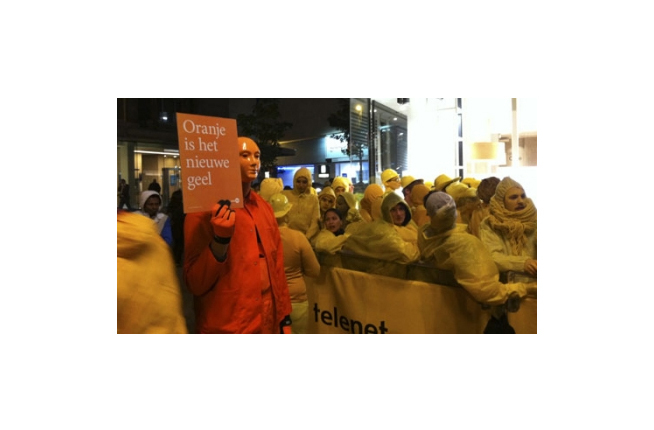 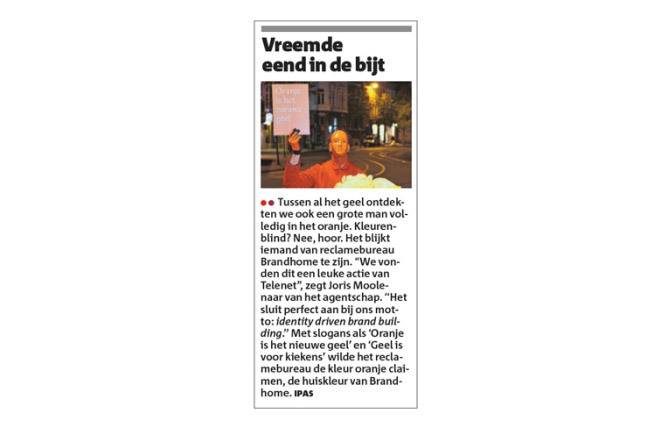 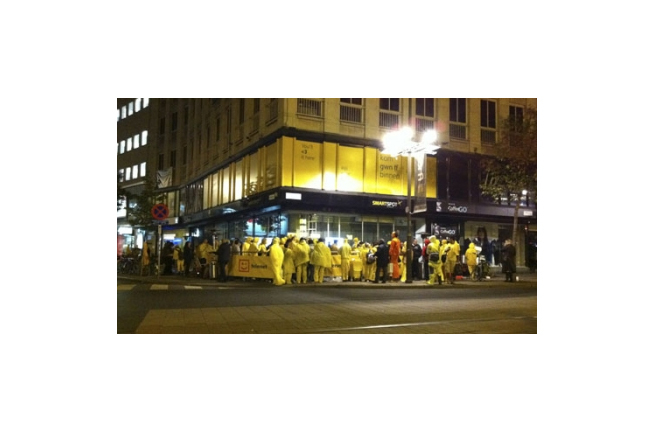 When Belgian telco brand Telenet invited people to the opening of a new shop, they promised that you might win a new, yellow iPhone if you came to the opening dressed in yellow. 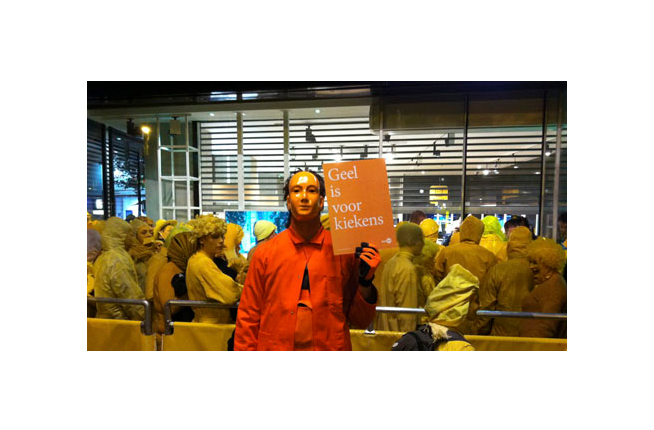 We spoofed the event by sending our tallest Brandhomie dressed in orange! 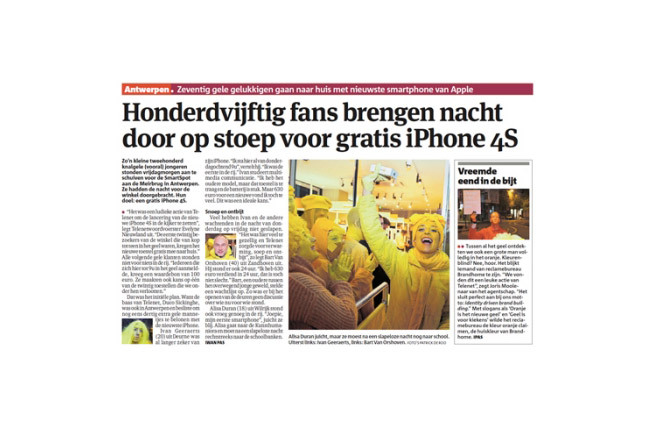 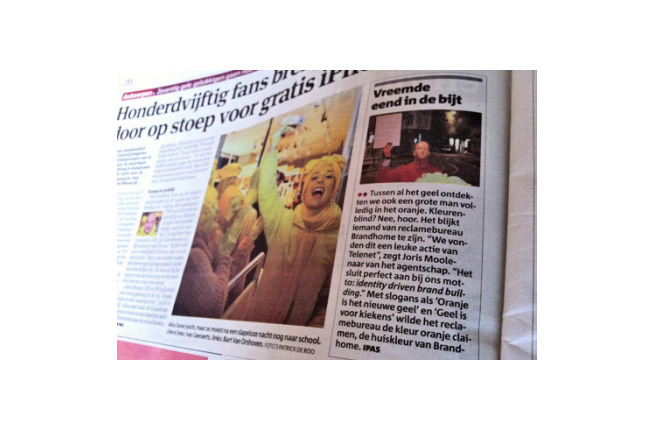 Yeah, we got the iPhone and lot of press attention!